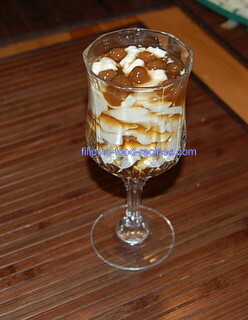 Looking for a Taho recipe? Mention the word Taho to any Filipino living outside the Philippines and watch his face light up, like his childhood days flash before his eyes! Taho Filipino is made from soft tofu with the texture of silky custard, sweetened with a brown sugar simple syrup or arnibal and topped with tapioca pearls. Sold by peddlers in the morning hollering 'Ta-hoooooooo' that you can hear a block away, this treat is a breakfast staple and a very satisfying comfort food. The sugar syrup or arnibal is made by simmering brown sugar and water together, then vanilla extract or vanilla essence is added for flavor. In Manila, I remember buying cooked Sago or Tapioca Pearls from the wet market. Around here, they usually come in dried forms that need to be reconstituted by soaking in water overnight before cooking. So, where to buy the Soft Tofu, you might ask? 1 To make the arnibal or brown sugar syrup, mix brown sugar and water and simmer until the sugar is fully dissolved. Turn the heat off and add the vanilla extract. 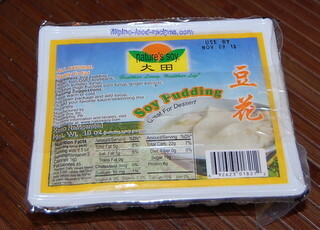 2 Transfer the soy pudding on a glass container and microwave for a couple minutes or steam until warm. 3 To assemble, spoon thin layers from the soy pudding onto a glass until 3/4 full. 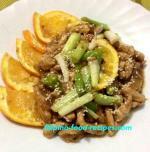 4 Add 2-3 tablespoons hot sugar syrup, then top with tapioca pearls. Serve while hot. Adjust the sugar syrup according to your preference. Start with 2 tablespoons and add if you need more. Store leftover tapioca pearls inside the fridge. When you need to use them, make sure you heat up thoroughly in the microwave or stove top, or they are pretty hard to chew. If you want real vanilla flavor, use a vanilla bean. Split the bean in the center, then extract the beans using the tip of a knife. Add the extracted beans together with the pod to the sugar/water mix while simmering. Note: I give credit to my hipag, Bel Sampang, for finding the Soy Pudding from the Asian Market to make a home version of the Taho.